Frankly, I'm already sick of hearing how we, just like parrots, keep referring to economic aggression against Russia as "sanctions," a term that was imposed on us by someone else. There are no sanctions and there may be no sanctions because there was no violation of the law and there's no jurisdiction whatsoever. A neocon concept (William Kristol) about the moral global hegemony of the United States that is used in the foreign policy of the White House and the State Department not only does not require such an (international) legal norm, but proceeds from the assumption that there's no factor of law in the real foreign policy. Therefore, the attempt to isolate Russia economically and the financial terror unleashed against it can be called "sanctions" with no more grounds than the notorious Jackson-Vanik amendment. We are taking this heat because we started emerging from the nightmare and the ruins of the 1990s, and because for the first time it became evident that Russia may reject the political and economic course of total privatization and deregulation as the only policy that is possible and correct. It's an issue of fighting for the redistribution of global wealth. Again, we are faced with the task of restoring our national wealth, just like after the three wars of the 20th century. What were the primary weaknesses of public property as an economic foundation of the Soviet Union? The substantive Trotskyist criticism after World War II (Tony Cliff) defined our national economic system as state capitalism. That is, as the highest possible concentration of capital and the maximum possible monopoly. True, within one, albeit geographically the world's largest, country. The monopoly and the concentration were the primary competitive goals of capital during the 19th and the 20th centuries, and we have achieved them. By the 1970s, the competition between the Soviet Union and the United States ended with a convincing economic victory of the Soviet Union, and the United States has embarked on the course of detente and disarmament, since it couldn't keep up the pace of the arms race. However, for us, this victory was Pyrrhic, indeed. The capitalism has changed out of recognition. Actually, it ceased to be capitalism. Let's leave aside the defects of centralization, which possibly were due to an error, such as the deliberate refusal to expand the consumer products range for the sake of social psychology, or to develop private car ownership in favor of public and freight transportation. Were these mistakes at all? The strategy and the overall structure of the system is what matters. Let's leave the betrayal of the headquarters, although it clearly took place, out of the equation. We would never give up our brain in favor of the spinal cord, or conscious behavior in favor of the instincts, or the second signal system in favor of the first one, only because the latter is older and is supposedly better for survival, would we? The evolution refutes such ideology. What problem ledus to our devastation in the 1990s, which is still going on today? The key to understanding the situation is in distinguishing between economics and economy which was introduced by Zinoviev in the best traditions of the "economy of thought" which is so loved by our US philosopher colleagues. According to Zinoviev, economics concerns monetizing social relations, or transferring them undercontrol of the money turnover, while the economy is all about actual activities that arenecessary for releasing human reproduction from natural conditions. To quote Lyndon LaRouche, this is a "physical economy" which is designed to overcome the Malthusian constraints on the growth of the human population (this is when the exponential growth of the population "bumps into" limited resources, the main idol ofecology). Of course, the economy is taking on the features of economics and comes under control of the money, which is classic capitalism. However, in the 20th century, the economics has moved far beyond the economy. This, and not the classical overproduction, is the reason for today's system-wide crisis. Key business processes, such as production, distribution (including transportation), the accumulation and growth during the classical capitalist era were only "reflected" in the mirror of money. The principle of equivalent was the principle behind the ratio of goods and money. The wealth was in the commodity weight. The accumulation was in the geographically fixed infrastructures (primarily, urban areas). The growth in the scientific revolution. The distribution in state social policy. Money was just a relative measure of it all. Today, however, the logic of money "reflection" and the equivalent is a thing of the past. In part, this was due to the economic growth. The Industrial Revolution led to an explosive growth in the commodity weight, a loss by gold and its substitutes of the status of a universal equivalent value, the good of the goods. Gold is not only inedible, but its industrial use is also very limited (compare with the energy). It has lost its sacred status as well (due to a decline of the sacred as a notion). New money first appeared in paper form, although it stuck long enough to the gold (metal) or similar backing. Resolving the problem of overproduction crises as a specific effect of the precisely economic (monetary) management of the economy took the global form of creating overconsumption systems. This concerns creating a fake diversity of goods, imposingan excessive product range, sharply reducing the service life (including through social mechanisms), as well as pseudo-modernization, pseudo-utilization, false hoarding in the form of goods and commodities, etc. An additional (with regard to theIndustrial Revolution) growth of the commodity weight through the organization of overconsumption has finally squeezed out from the commodity turnover managementthe possibility of using any primary "product of the products" as a universal commodity equivalent of value. Add to that another sphere, namely, services, or rather pseudo-services provided at astronomical prices, and it will become clear that today not only "gold" but also the often-discussed "energy" money is impossible. The money was finally freed from the remnants of the economic nature imparted to it and became a purely control tool. There's an old scholastic dispute between realists and nominalists in the sphere of money turnover at the current stage of the historical process about what actually exists: things (as realists believe) or their names (according to nominalists). The latter definitely win. The essence of modern money is nominal, not real. Perhaps the US financiers were the first ones to realize this, which allowed them to take control of theentire global economy (as well as its economic core), and thus abuse of their role, having become the largest and the most hopeless debtor in the world's financial history, who concentrated in their hands the world's largest wealth and the controls of the world. Modern — that is completely nominal — money provides a nominal (i.e., possible) tie between all participants of the economy. You can draw an analogy with the telephone. Even at the current level of sophistication of digital technology, all subscribers are unable to physically call other subscribers at the same time. We have the ability to call anyone anytime just because we don't do so concurrently with all other subscribers. By the same token, modern money is not backed in the sense of an equivalent by not only any privileged security goods, but, in general, the entire world commodity weight, including the potential one that hasn't yet been produced. And it's not just an annoying consequence of the accumulated imbalances in the turnover system, but the underlying principle of the system. Modern money includes not just physical or accounting currency, but also all derivatives and numerous financial or fictitious instruments. But even if we decide not to take these derivatives into account and confine ourselves to the money in the narrow sense of the term, then, too, there's much more money than all available goods at current prices. Money printing is supported in its excessive form and serves as a primary tool to control all economic processes which themselves act as a way to control diverse — not only and not so much economic — activities. Of course, in such a system, the bulk of the money must be sterile with respect to the commodity weight and not get in contact with the latter. This is ensured by a special speculative turnoverof financial instruments where money goes from one form to another and, in principle, is not related to the "real sector". This is also part of printing money. In his The Alchemy of Finance, George Soros fairly describes the modern economy asa fundamentally unbalanced system. Such a system can only work if controlled in a deep, tough manner. It is not self-regulating. Excessive money printing (instead of thedeficit one — gold and metal, in general) makes it possible to move purposefully the global commodity weight and the economic activity resources. The excessive money is accumulated by false goods, including unnecessary services and excessive prices, and is withdrawn from the circulation through excessive profits, excessive taxes and overspending, and is also canceled by collapsing financial systems of entire countries and globally important financial organizations and institutions. The deposit haircut in Cyprus is just a trial balloon. A similar write-off will take place with regard to the European, and, of course, the US debt. Some are allowed to print money, others are not. Some people must save, while others must spend. Of course, in terms of the old concepts of economic and economic realism, it's pillage. The robbed ones will object both in the domestic and foreign policy. That's why NATO and the US military activities are important. Of course, a fair and a constructive way to overcome the crisis requires a de-economization and a demonetization of the excessive nominal sphere of social relations, and returning to the economic core of the leading role in the economic activity and restoring the real goals of the economy. However, this does not mean just controlling consumption or even curtailing it. There's need for a comprehensive and systematic reorganization of the consumption. Returning the real status and the economic content to the economy also does not imply a return to the metal or real money. The United States was able to take advantage of the entire world, because it was the first to appreciate the inevitable and irreversible transition to the nominal money. But in real economy, the nominal money must be exclusively a tool of controlpreventing the money from &quot;projecting&quot; its nominal essence on the economy as a whole and snapping it away from its economic foundation. Such technical money is fundamentally heterogeneous, since cash and non-cash currencies, currencies used in settlements between individuals and corporations, or for internal and external payments, must be different. That's how it was in the Soviet Union. But once it switched to the nominal money, the Soviet Union couldn't stay within the confines ofthe real economy. The United States will do none of the above. It will seek ways to cancel its excessive debt at the expense of its creditors and lock in its long-term profit from exploiting theworld. This profit is not derived from their national capital, or any other capital for that matter, but from their control over the global nominal monetary turnover. Meanwhile, the global economy and individual economies, despite their virtual nominal non-economic growth, cannot abandon the real economic core in a global sense. The labor (primarily, cheap one) remains just labor, the resources (especially food and energy) remain resources, the territory (land as an element of economic organization) remains territory, infrastructure (primarily, urban areas and transport) remains infrastructure and hunger remains hunger. Hence, the war in all its forms, covert and overt. There will be no such thing as global recovery from the crisis. It will be overcome by separate countries and regional economic unions. For Russia, this is BRICS and the Asia Pacific Region and certain European countries, if they manage to free themselves from the United States. But doing so without focusing on their own economic sovereignty will not work. The economic sovereignty requires the availability of own money. The nominal nature of modern money doesn't mean that it's not backed by anything. Unsecured money won't work, as it won't work without confidence. Modern money is backed (but not in full equivalent) by the entire commodity weight that can be purchased, if this money is used directly as a means of payment. Clearly, in a global world, it's not just the goods that are located within a national territory, or produced by a national economy. 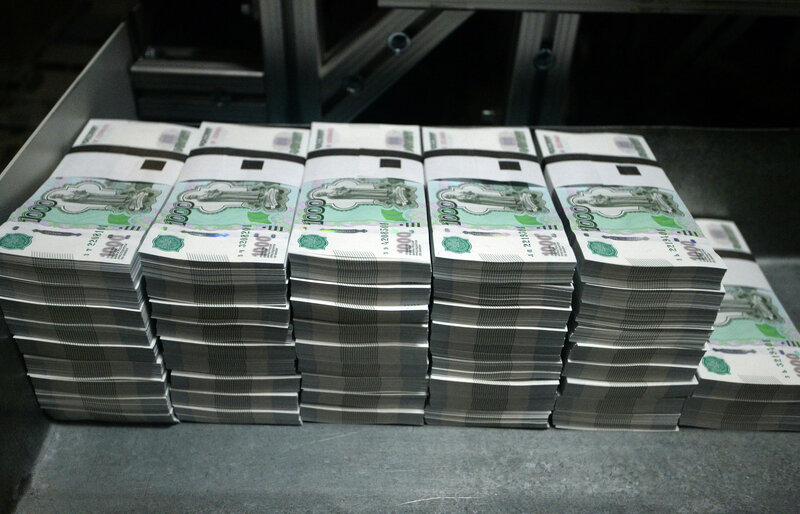 One can use US dollars to buy anything anywhere in the world, but not rubles. One can't use rubles to buy anything anywhere, even in Russia, even if the price is given in rubles. This is the power of nominal money. We must take advantage of it. We need to overhaul our approach to payments in rubles. All exports should be paid for in rubles. We should get out of the FATF ruble accounts, fully liberalize payments in rubles, including the turnover of cash rubles. Today, we don't have our own money. The difficulty is not only in our "weakness". We are not that weak, not that destitute. The new post-capitalist world of the nominal economy that is portrayed by its ideologues as "post-industrial" indeed lies beyond Marxist political and economic theories. There are no other theories. They are replaced by dull economic ideological constructs about the free market, economic growth, an innovation-based knowledge economy, blah, blah, blah, blah, blah, blah. Therefore, this crisis-ridden world is not transparent epistemologically. It's not about a conspiracy. On the contrary, there's no need to hide anything, because no one understands a thing. We'll have to build our own theory of our economic prosperity.